We think recent industry developments may have scuttled the plans by major shareholders (including Axiata Group) to exit the company. Funding could still be a stumbling block for buyers to justify an outright bid while the erosion in transaction premiums may have lessened the attractiveness for sellers. MyRepublic’s (MR) entry into the mobile market as a mobile virtual network operator (MVNO) later this year, further raises the threat of competition from newcomers, including TPG Telecom (TPG). Maintain NEUTRAL on M1 as we expect stock sentiment to be supported by M&A newsflow, backed by its over 6% dividend yield. M1’s share price has held up relatively well since its three major shareholders announced in March their intention to undertake a strategic review of their shareholdings (collectively 61.5%). Various media reports and the market have speculated on the potential suitors which ranged from local telcos and strategic investors to international telco groups. A buyer would have to come up with over SGD2.2bn for a controlling stake (assuming a 20% controlling premum) including a general offer (GO) to existing shareholders. We think ‘transaction premiums’ may have eroded due to recent industy developments with funding a potential stumbling block for bids to materialise. These may well have derailed the exit plans by shareholders, including that of Axiata Group (Axiata) (AXIATA MK, NEUTRAL, TP: MYR4.90) which holds a 28.5% stake. Buyer may be hard(er) to come by now. Axiata’s management had previously highlighted that a decision on the joint divestment will be made by 3Q17. 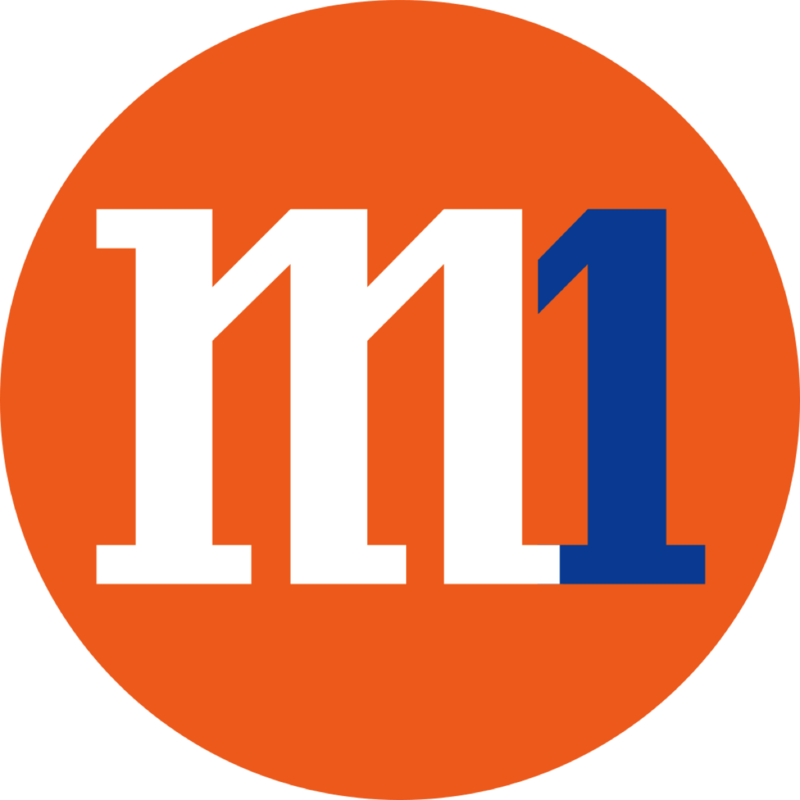 Management has also not ruled out raising its stake in M1 in the event it cannot find a suitable buyer. We think the prospects for a divestment may have dimmed following MR’s revelation last week that it would enter the market as a MVNO by October. MR’s entry adds to the spectre of uncertainties and concerns over escalating competition with TPG, the fourth mobile network operator also slated to rollout its mobile service in 2018F. Incidentally, MR was one of the parties keen on bidding for M1, but pulled out from the race (see our earlier report dated 2 June- M1 Ltd : M1 Meets MyRepublic?). M1 will announce its 2Q/1HFY17 results on 18 July. We expect revenue and earnings prospects to remain challenging on the back of continuing weak usage and roaming revenues. Its mobile service revenue (MSR) has contracted on a YoY basis for the past eight quarters with a 3.5% drop in 1Q17, driven in part by the higher take-up of SIM-only plans. We expect MSR to decline a further 3-4% YoY in 2QFY17 or flat QoQ. The bright spot should continue to come from fixed services/enterprise sales, led by public sector jobs, smart nation projects and demand for cloud services. Overall, we expect weaker YoY EBITDA and core earnings for the quarter. We expect M&A newsflows to continue to lend share price support. M1 trades at 8x FY18 EV/EBITDA which compares with the 9-11x multiples of its local peers. Valuations are at its historical mean and backed by a commendable dividend yield of over 6%. Our preferred sector exposure remains Singtel (ST SP, NEUTRAL, TP: SGD3.90).